Show your staff that you care and their hard work has been noticed by the management by presenting them one of our very special Crystal Award Giveaways. our Crystal Award Giveaways come in many shapes and sizes and will have your business details and company logo printed or engraved upon as well as the specifications of the award that you presenting details. To find out more about our Crystal Award Giveaways click here and fill in the contact form and we'll get straight back to you. 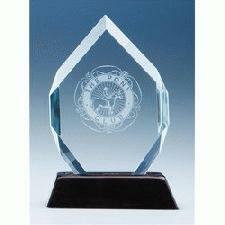 Other promotional and personalised items besides our Crystal Award Giveaways click here.